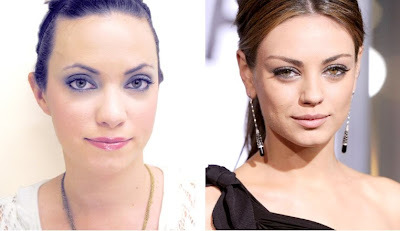 We oooo and ahhh over Mila Kunis' stunning look just about every time she graces the red carpet so we decided to channel her lovely, smoky oh-so-sultry look for ourselves! Check out the step-by-step DIY by glo minerals makeup artist Kate below for everything you need to make my-oh-my Mila Kunis eyes your own using the all-new Alloy Eyes Collection (Available July 1, 2011 on www.gloprofessional.com). 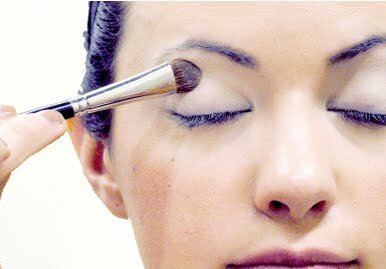 Step 1: Prep eyes with Lid Primer to create an even canvas for shadow. Use the Eye Base Brush to apply the lightest shade from the Alloy Eyes Collection from lash line to brow. 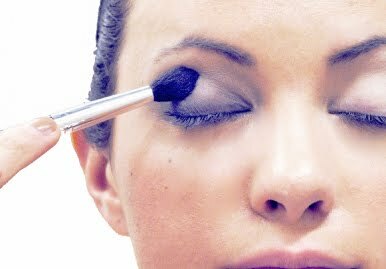 Step 2: Press your favorite deep charcoal shade from the Alloy Eyes Collection onto the lid and into the crease using the Eye Blender Brush. Step 3: Define eyes by lining the upper and lower lash lines with Precision Eye Pencil in black. Next generously apply Water Resistant Mascara to top and bottom lashes. Beautiful! Thanks to Kate for creating this beautiful (and very Mila) look!